Travelling safely is the most important matter all over the world. 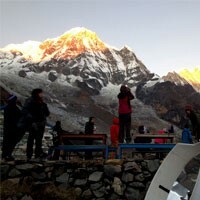 All the trekkers and travellers can feel very safe with us during your Nepal trip. We make all clearance about hassling, accidental cases, altitude matters and many more in the pre-trip meeting in Kathmandu. During the city tour of heritage sites, we mention the road conditions and sopping system in Kathmandu. 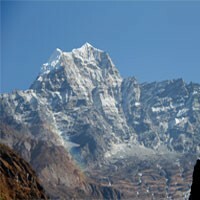 While trekkers will be in Mountain may cause having accidents by the animals and altitude sickness. Our trekking leaders will brief about the problems and give some important tips to avoid the problems during day by day instructions. The main problem for most of the tourists will have altitude sickness. Our all trekking leaders are well trained of First-Aid so they are always looking after well to the clients and check the oxygen level and the pulse every day in higher places and if anyone is suffering then the guide will advise well. Most of the places have an oxygen cylinder to apply for tourist if needed. Almost every place has a Gamow bag for sick people to use and the helpers will be carrying to the lower elevation as soon as possible. If tourist will be able to walk down after first-aid, then walk down but if the client has more problem, we help to contact their insurance provider and take to the hospital. Our guides are well known of the symptoms of altitude sickness and advice earlier but tourist should not hesitate to say to the guide about the problems. The guide will let you know every day about altitude and preventing the problems. Also, there are High Altitude Rescue Association where people will have altitude talk every day with altitude doctors. And these are in the risky areas. 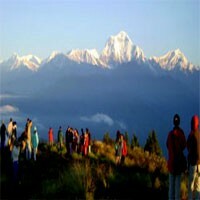 Feel free to travel with Frolic Adventure in Nepal. So you will have a surely safe trip with us.